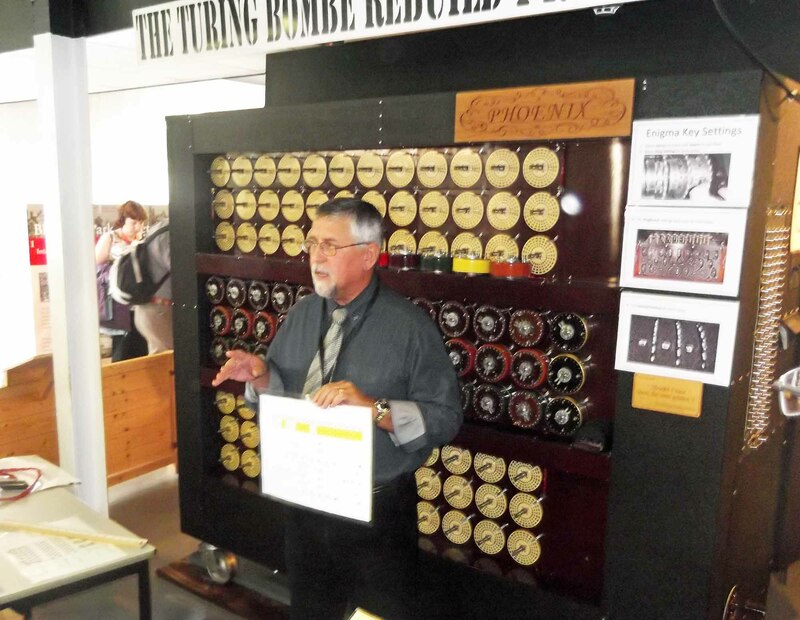 STE’s Holiday Editor, Tony Taylor, reports on a day out at Bletchley Park. The role of codebreakers has been in the news recently as a result of a book and film about Alan Turing. But to get a true feel of the life and times of this brilliant, complex man, a visit to Bletchley Park is a must. 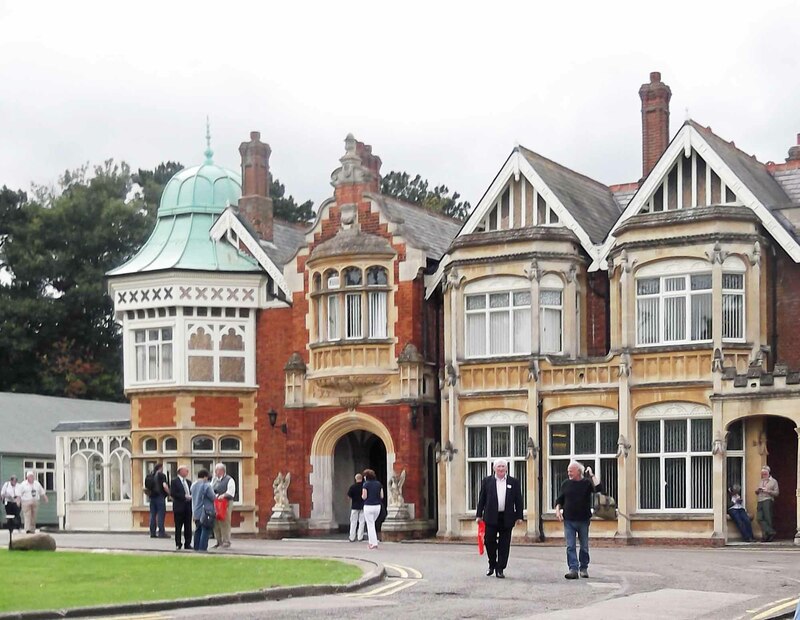 Our visit to Bletchley Park, home of the World War II codebreakers, took up a full day. After staying overnight at local hotel, followed by a leisurely breakfast, we arrived at Bletchley Park shortly after the opening time of 9.30am and only left when it was closing at 5.00pm! The park was well signposted, parking was easy and the staff helpful and friendly. A bonus for over-sixties is a £2 reduction in the normal adult admission price. We had been advised to take one of the guided tours as soon as we arrived, and then to make our own way exploring and visiting areas after the tour. We found this advice to be excellent as the tour talk was informative and humorous. It gave us a background and enabled us to get our bearings and decide on priorities. Our visit was further enhanced by the audio handset included in the admission price. It is worth noting that the site is few hundred yards across but fairly level. Walking outside with no cover is necessary in order to visit the various huts and the mansion. Consequently our advice is to either select a dry and not too windy day, or come appropriately prepared for the weather. However the grounds are pleasantly landscaped with plenty of seats to relax. For food and drink during the visit there are different options. There is a coffee shop in the Visitor Centre entrance and a café which serves hot food at the far side of the grounds, or you may opt to bring a picnic to enjoy by the lake. 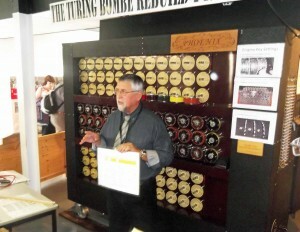 It was very impressive to realise how much this work helped to win the war and the key role played by Alan Turing. We very much enjoyed the day out and the entry tickets are valid for one year, so we can call in again when passing that way to see the things we missed or would have liked more time to examine. 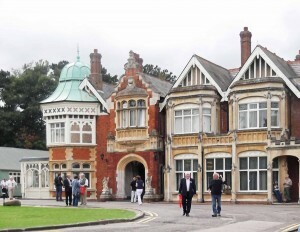 Bletchley Park, which is situated about 4 miles south of Milton Keynes, is managed by the charity Bletchley Park Trust. It is open every day of the year except December 24, 25, 26 and January 1st. 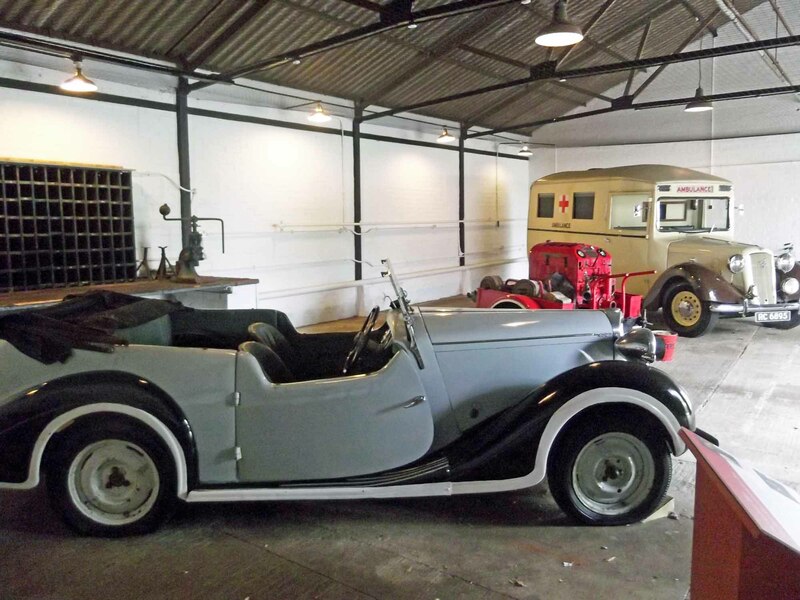 Other outstanding heritage sites in the area include Wrest Park, an English Heritage property, and Ascott, a Jacobean House managed by the National Trust. Both have limited winter openings.